"The Australian Flag Promise" should cause Australians to be ashamed of the propaganda put out to glorify Nazism and robotic chanting by children. The "Flag Promise" should replaced with a "Pledge to Individual Rights" that teachers should chant to seated students each morning. A proposed pledge for that purpose has been written. 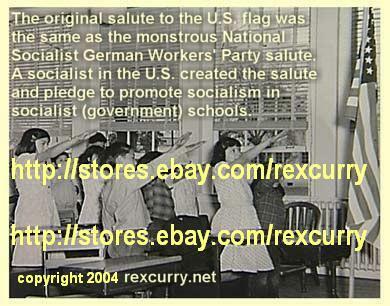 Imagine every teacher in government schools (socialist schools) standing alone in front of seated students and reciting a pledge to the students. Imagine every elected politician, every school official, and every government official chanting the pledge each morning to private individuals. Australia's "Flag Promise" and America's "Pledge of Allegiance" are backward because they are supported by people who do not understand liberty, and who do not understand the proper relationship between government and private individuals. The press releases and news stories about Australia's "Flag Promise" are a disgrace to journalism. It is no wonder the police state keeps growing all over the world because the Australian media join the American media and so many others too gutless to do anything other than repeat and promote the government's claptrap. Under a new dictate by Prime Minister John Howard, the government's schools will need to provide functioning flagpoles and fly the Australian flag if they want access to $31 billion in funding. It is another socialist-style "four-year plan" to be introduced in Parliament. Primary and junior secondary students will also be forced to do a minimum of two hours' physical activity a week on the completely unsupported speculation that it will "stamp out obesity." 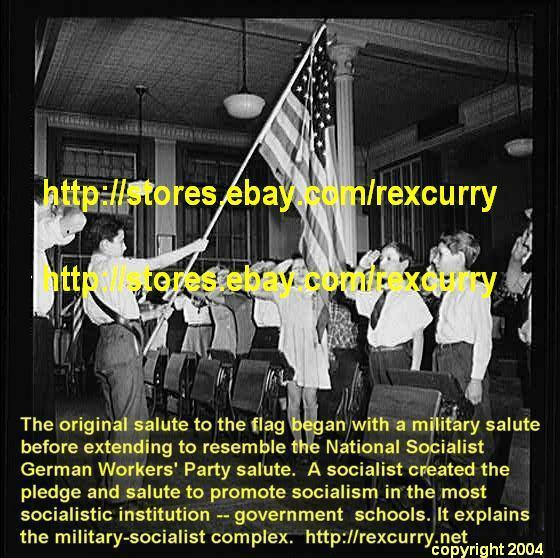 It is part of Australia's embrace of military socialism and similar to the USA's mistakes. The Prime Minister said he would not mind if students sang the national anthem every morning. The Prime Minister showed his utter confusion with a comment about his admiration for the desecration of flags, saying "Thirty years ago I wouldn't have wandered the shores of Gallipoli with an Australian flag draped around my shoulders ... but I tell you what, my children would and many of their friends do and ... "
The flag is put over government schools to remind children and their parents that socialism rules their lives and that the government is in control and they must submit. Remove the pledge from the flag, the flag from the schools, and the schools from government. DO WE REALLY NEED MARTIAL LAW?